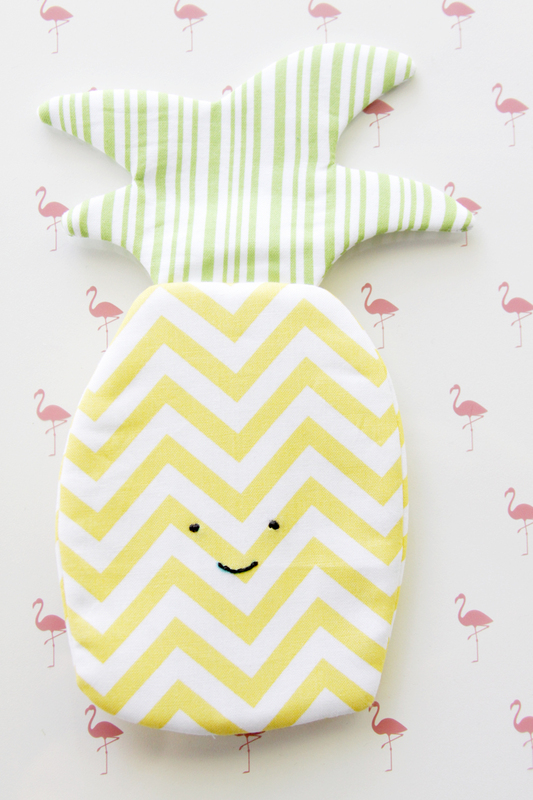 I’m kind of all about the pineapples – which is pretty perfect because pineapples are everywhere right now! 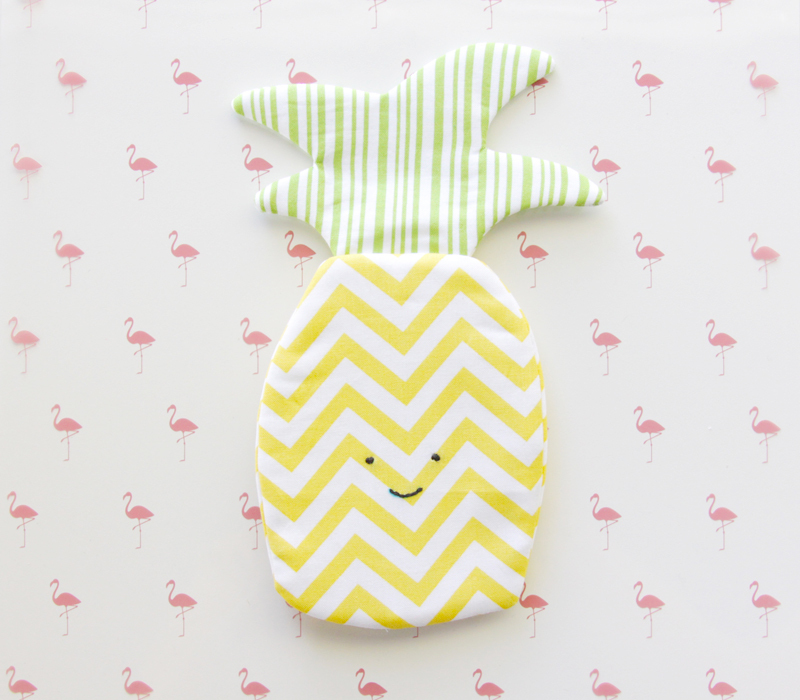 They are so cute and fun and you can really get creative with things to make with them – like this little simple and sweet pineapple zipper pouch tutorial I have for you today! The back side of the pineapple has a little zipper and it’s just the right size for holding a chapstick, pen, or some cash! 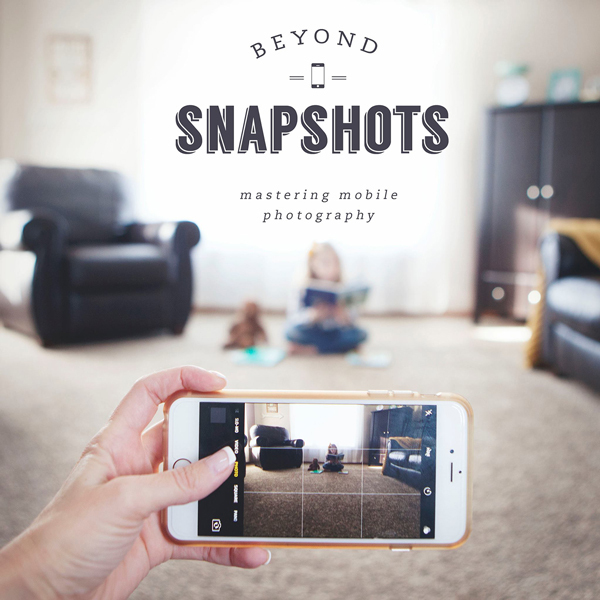 It’s a little small for a phone, but if you want to use it for that, you could easily enlarge the pattern and make yours just a bit bigger. 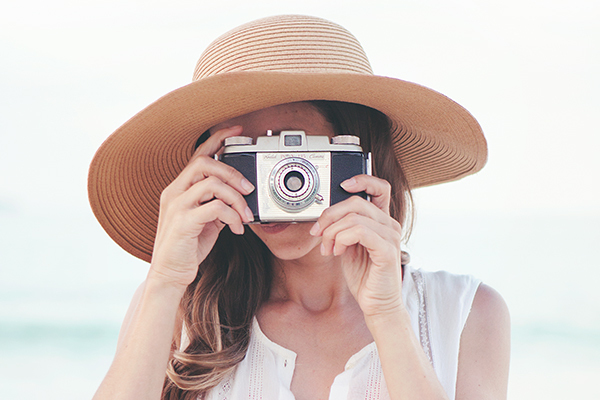 It would be such a great gift for a friend or teacher too – you could even add a little gift card inside! 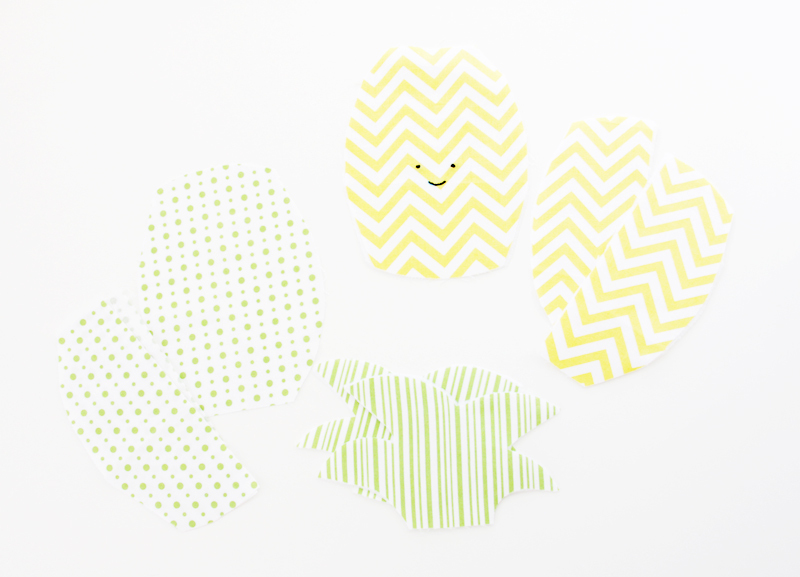 Trace your pineapple shape and little pineapple face. 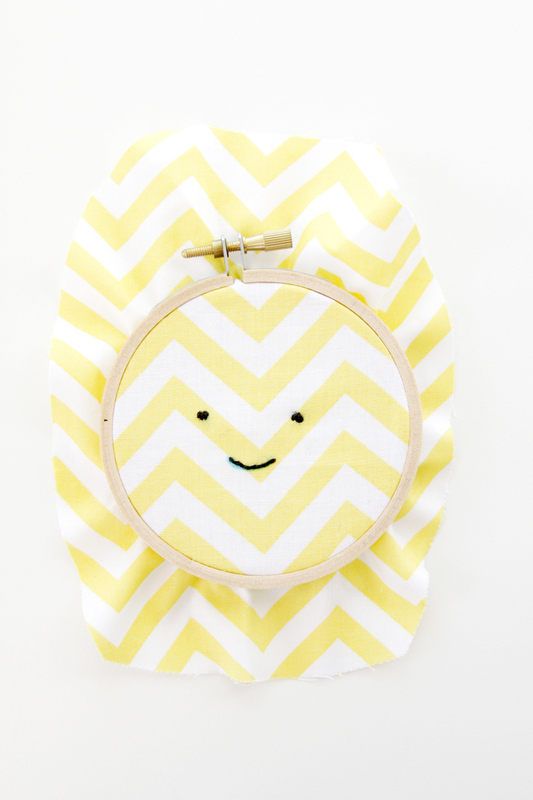 Embroider the face by using a back stitch on the smile and small satin stitches on the eyes. Remove the piece from the hoop and press. 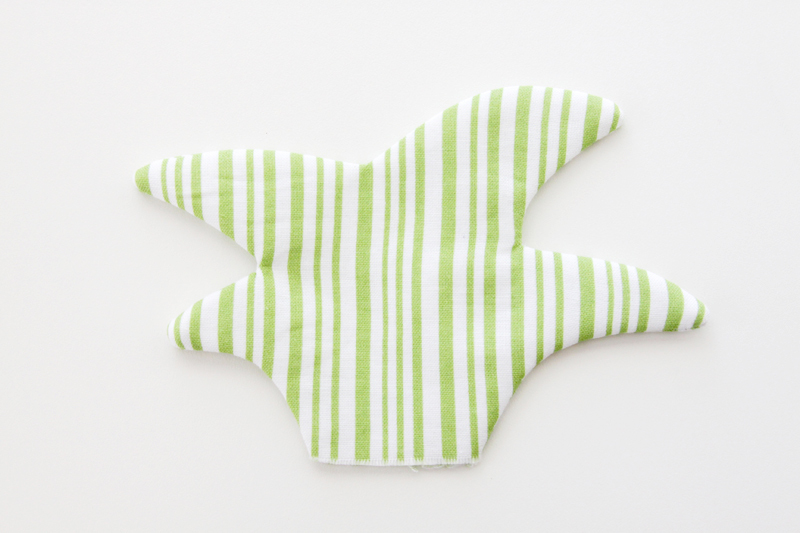 Iron the fusible fleece to all the yellow pieces, plus the front and back of the top greenery pieces. 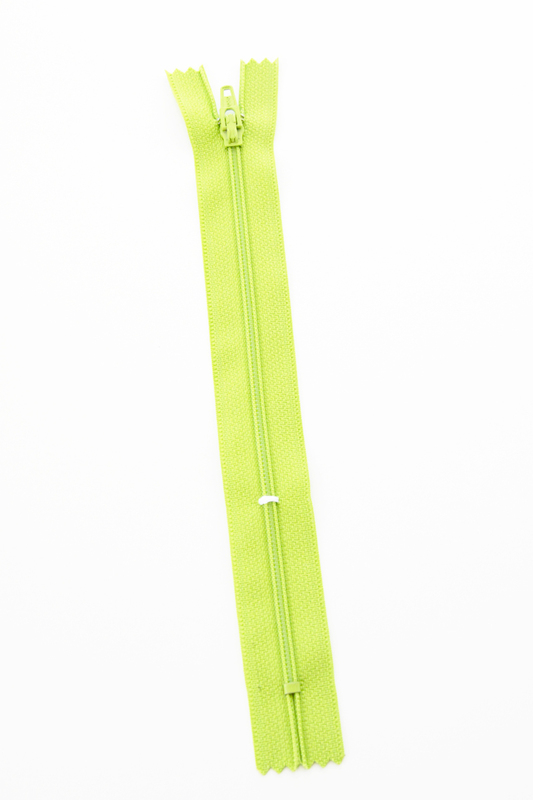 Trim the zipper about 1/2″ below the stitching. To sew the zipper in place, put one half of the back yellow piece face up. Lay the side of the zipper face down on the straight edge. Place the matching lining piece face down on the zipper, lining up the straight sides. 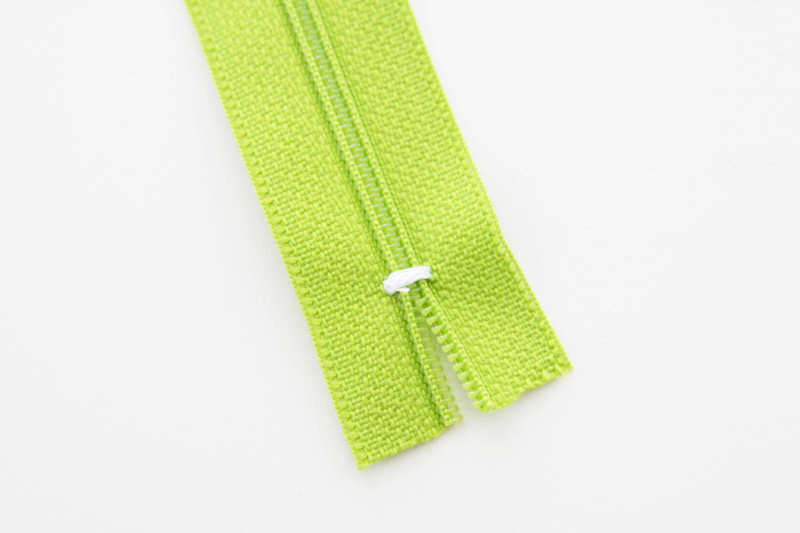 Sew the zipper in place along the straight edge with a 3/8″ seam. Open up the fabrics and press them away from the zipper. Repeat for the other side of the zipper, making sure the yellow fabrics are on the same side and will show when the right side of the zipper is facing up. Press and then sew along the edges of the fabric just outside the zipper seams. Place the two pieces of the top right sides together. 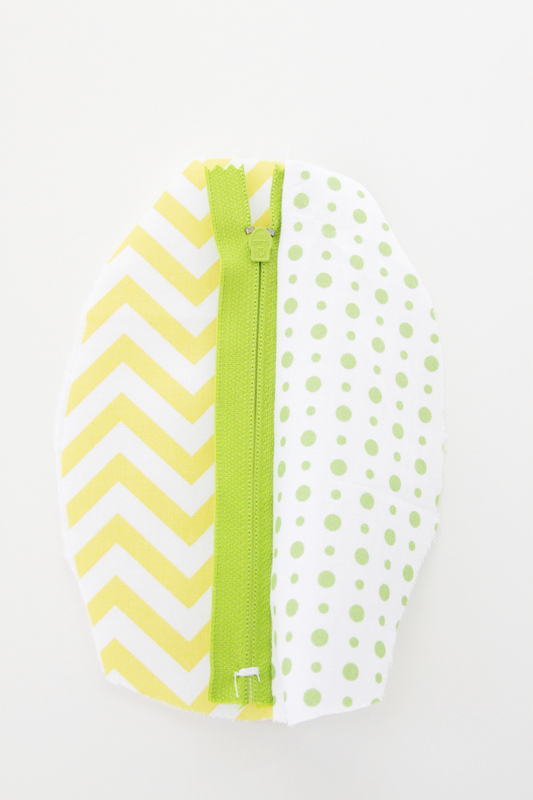 Sew around all the leaves and leave the bottom open. Clip all your corners and curves. Turn the leaves right side out and press. Place the leaves on the top of the front pineapple piece, facing down. 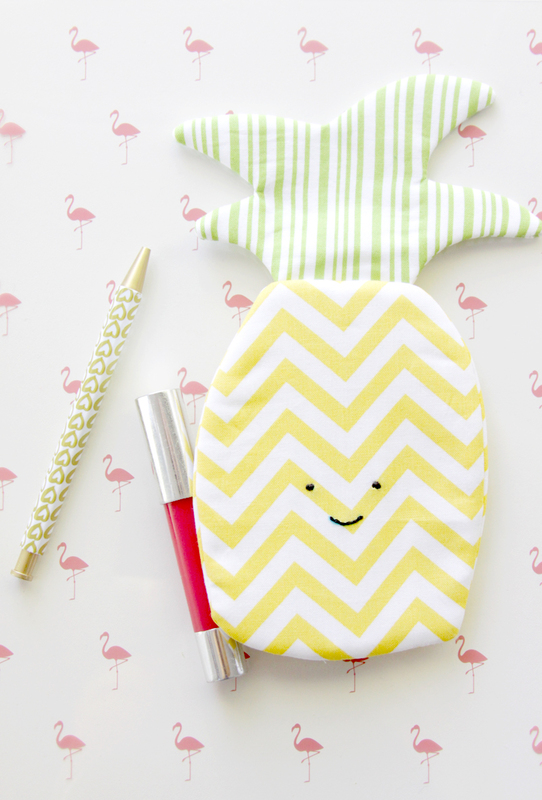 Sew the straight end of the leaves to the top of the pineapple with a 1/4″ seam allowance. 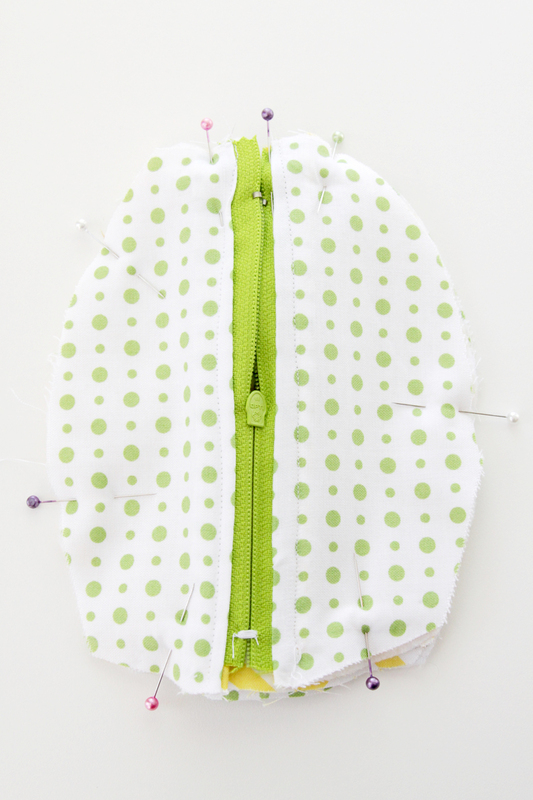 Pin the long side leaves in towards the center so they don’t get caught when you’re sewing your side seams. Now we’re going to sew the whole thing together. Start by laying the front lining piece face down. Then place the main front piece face up. Place the back pieces on top of this, with the zipper facing in. (So the lining faces out.) Pin everything together. Open up the zipper a bit now, or you will have trouble turning everything right side out later. 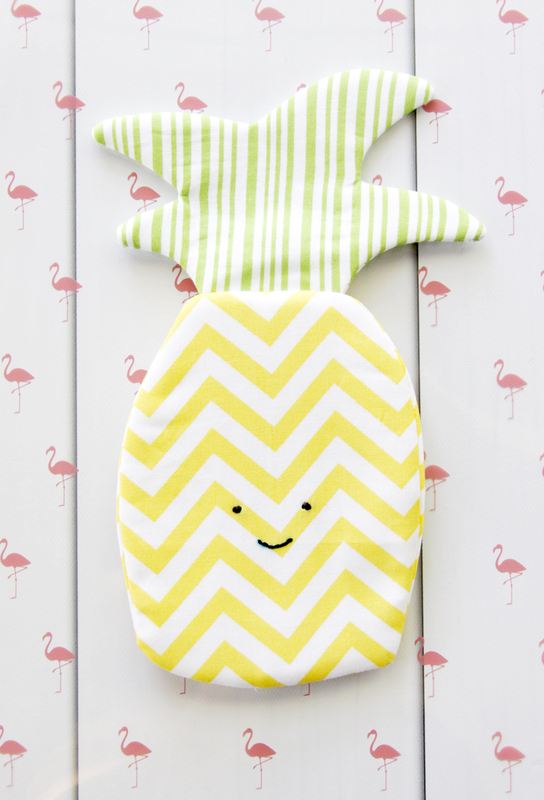 Sew all the way around the pineapple with a 1/2″ seam allowance and trim all the seams. Turn the pineapple right side out and press – and you are all finished! 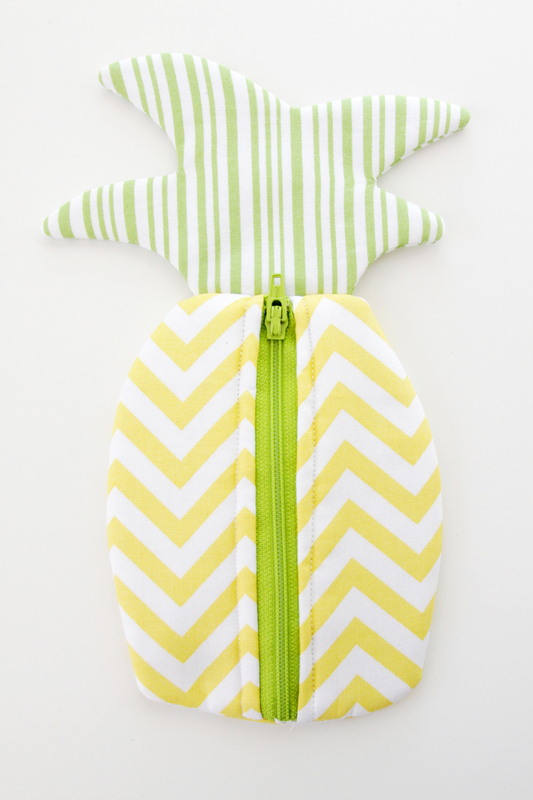 I think even the zipper side looks cute! I’d love to see a photo if you make one up! 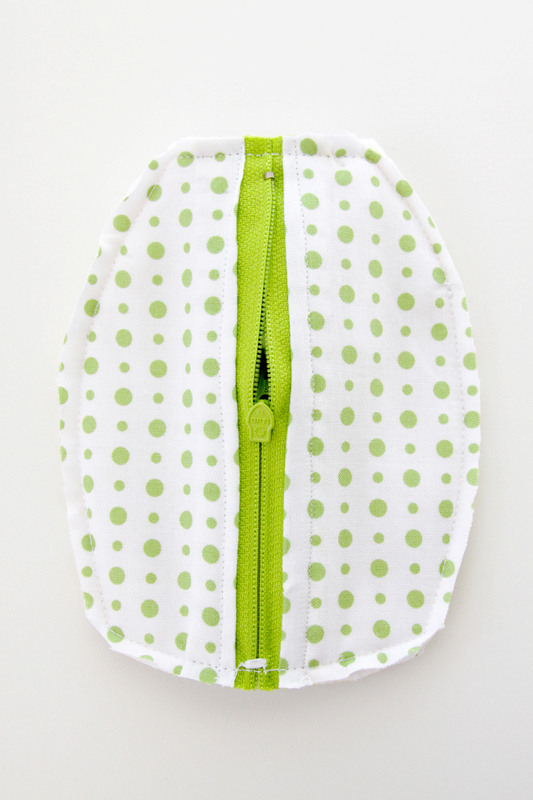 This is a really cute pouch and I’d love to make one (or many). The link to the pattern doesn’t go to one though, can you please tell me where I can find it? Hello! 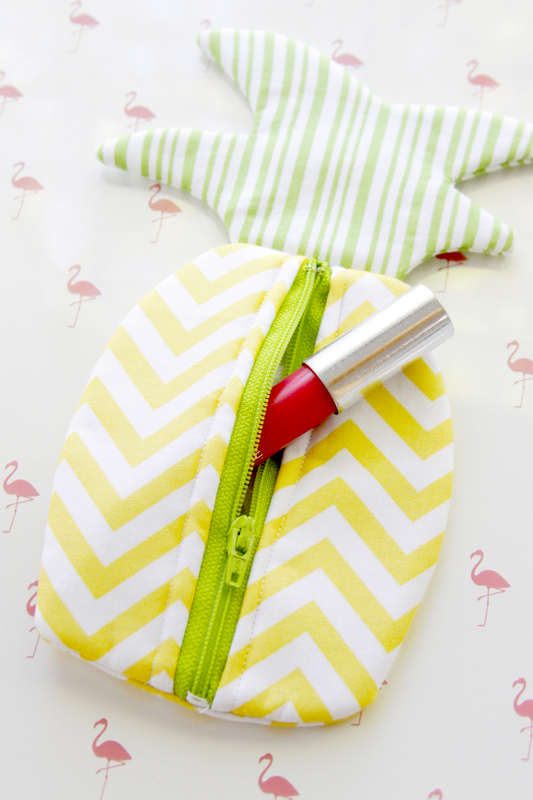 I think your little pineapple zipper pouch is adorable, but when I click on the link to get the pattern it just takes me to “flamingo toes” website and I don’t find anything for it. 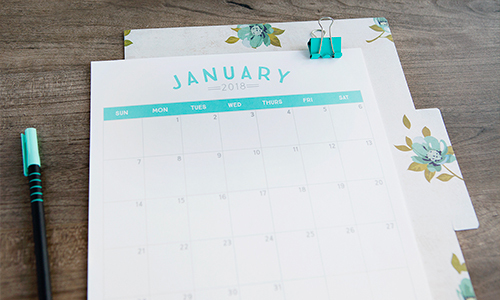 Where can I find the pattern please? Sorry about that Emily! The pattern is on this page: http://www.flamingotoes.com/patterns/. I made one of these today – it worked out perfectly! I changed up the pattern just a bit – I quilted the outside (top and bottom) instead of embroidering a design on it. It’s so cute, it’s getting mailed tomorrow to a niece who has a birthday coming up, and I have 2 more cut out ready to make – LOVE IT! This is really cute! 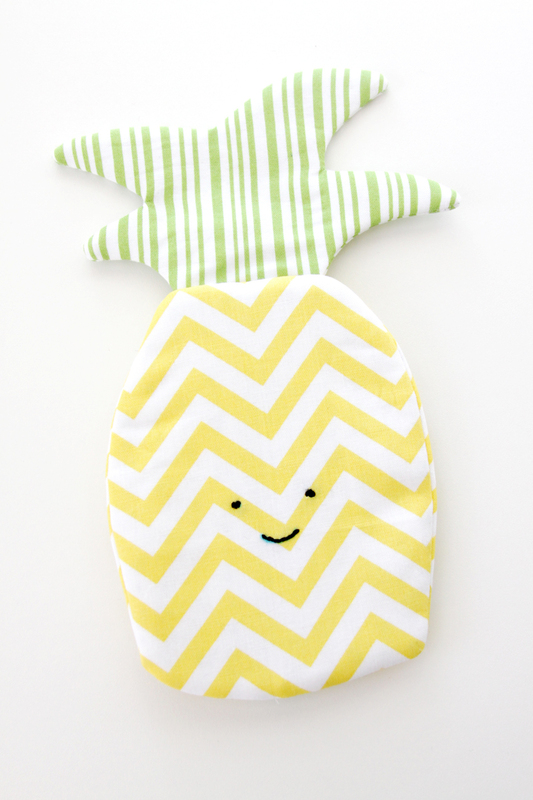 Imagine some textured fabric simulating pineapple skin! It’s almost small enough for a big key fob and I think I’d make it for that–I have so many keys I need to keep track of. Thank you for the pattern.